The Hatteras Blue is docked at Hatteras Harbor Marina, located in Hatteras, North Carolina. Our friendly marina staff will be happy to help you book your charter. For your convenience there are also efficiencies and a full service Deli on site. 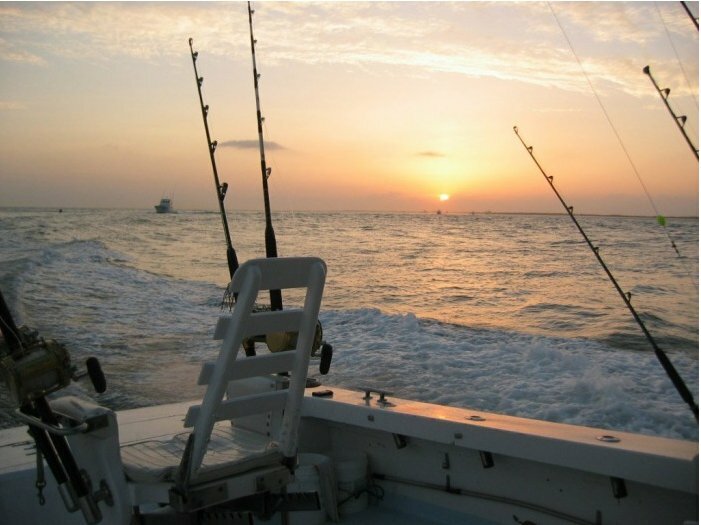 We provide a thrilling offshore big game fishing excursion in the Gulfstream which is a short boat ride from where we dock. We run full day Hatteras fishing charters that target Blue Marlin, White Marlin, Sailfish, Mahi Mahi, Tuna (Bluefin, Blackfin, Yellowfin), Wahoo, Etc. The Hatteras Blue is a Very Wide, Very Roomy, and Stable 48’ Carolina Sport Fisherman. 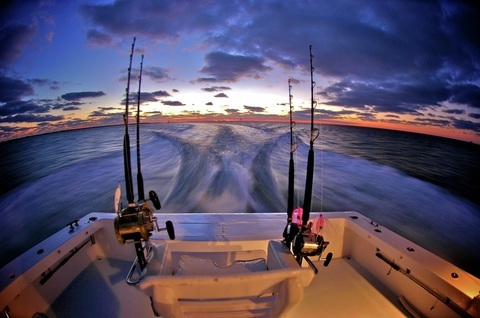 For your safety our charter fishing boat is US Coast Guard Approved and has onboard Radar, GPS, Loran, and Color Scope. Our charter fishing boat is equipped with Custom Tackle, Big Game Fighting Chair, and Japanese Green Stick for finicky tunas.